Mix the flour and salt in a bowl and make a well in the centre. Crumble the yeast into the water so that it dissolves. Add the water and olive oil to the well. Don’t worry too much about the temperature of water; water straight from your cold tap is fine. The only thing to avoid is having your water too hot, as that will kill the yeast. All that will happen if your water is cold is that bread will take longer to prove, which isn’t a bad thing. The longer the bread proves, the more flavour that gets to develop. Think of your yeast like a baby you’re giving a bottle to: you want the water just nice and tepid. Bring the dough together with your hands or with a spatula. Turn the dough out on to a clean surface and knead for approximately 10 minutes or until the windowpane effect has been achieved. The dough should be soft and elastic. Place the dough in an oiled bowl, cover with a damp tea towel or wrap in cling film and leave to prove for 60-90 minutes, until doubled in size. Turn the proved dough out and knock it back. 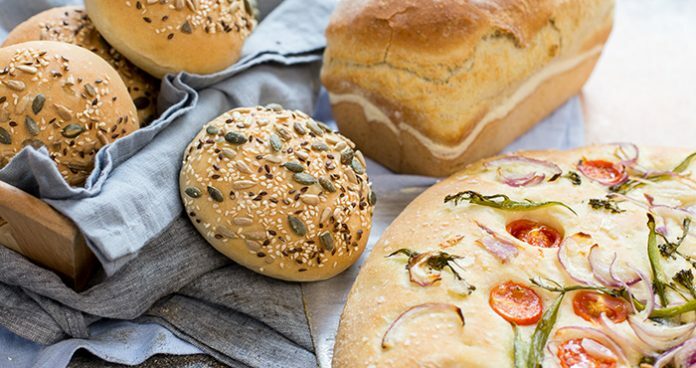 Divide the dough into two equal portions, then shape it into two loaves and place into two 900g/2lb loaf tins; if you prefer a large family loaf, just use one 900g/2lb loaf tin. Cover and allow to prove again for about 50-60 minutes. Your loaf should come to just below the rim of your loaf tin. Preheat the oven to 220°C/200˚C fan/gas mark 7. Place a roasting tray into the base of the oven. When ready to bake, place the loaves into the oven and pour in water from a boiling kettle into the hot roasting tray which should release a blast of steam. Bake the loaves for about 35- 40 minutes. Remove from the tins and cook for a further eight minutes just to firm up the sides. 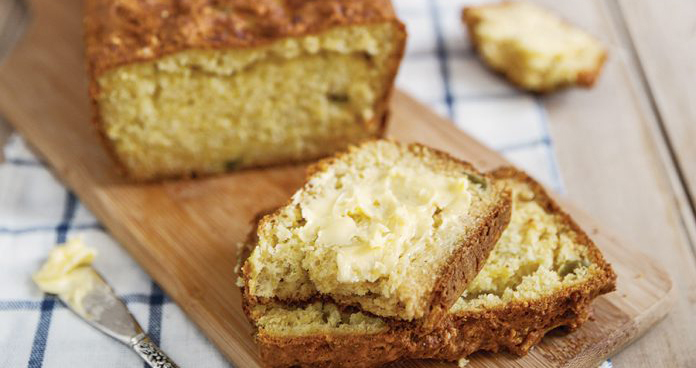 Resist the temptation to get stuck in until the loaf cools. Challenge yourself with White sourdough recipe and the Semi-sourdough crusty baguette, and check out our interview with the founder of The Firehouse Bread School.